Money Box is a well-respected weekly personal finance radio programme on BBC Radio 4 and has been on the air since 1977. Money Box wanted us to make a film that explores what retirement might look like in the future. Using an explainer video technique, we worked with the team at the BBC to make an easily accessible film that was suitable for all ages. We used our whiteboard animation technique to unpack complicated and easily misunderstood information about the financial issues around retirement to enable the listener to understand the choices they are faced with. With people living longer that ever before and not saving enough for their later years, retirement is headed for an uncertain future. Are we living through the death of retirement and what can we do about it? Paul Lewis, presenter of Radio 4’s Money Box, investigates. 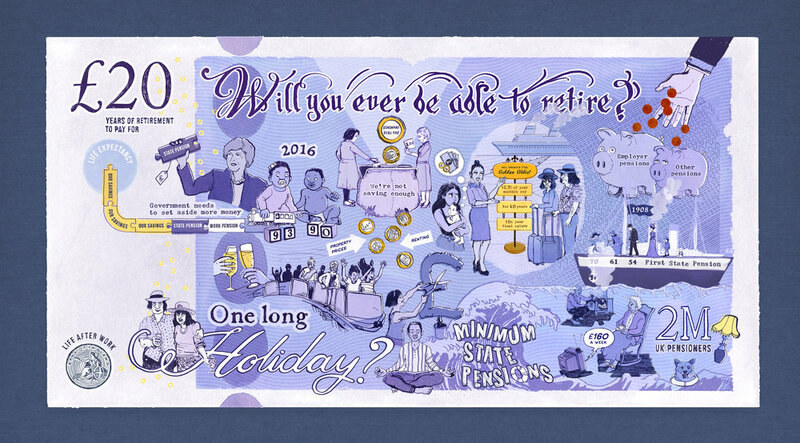 In 2017 Money Box site explored The Death of Retirement.